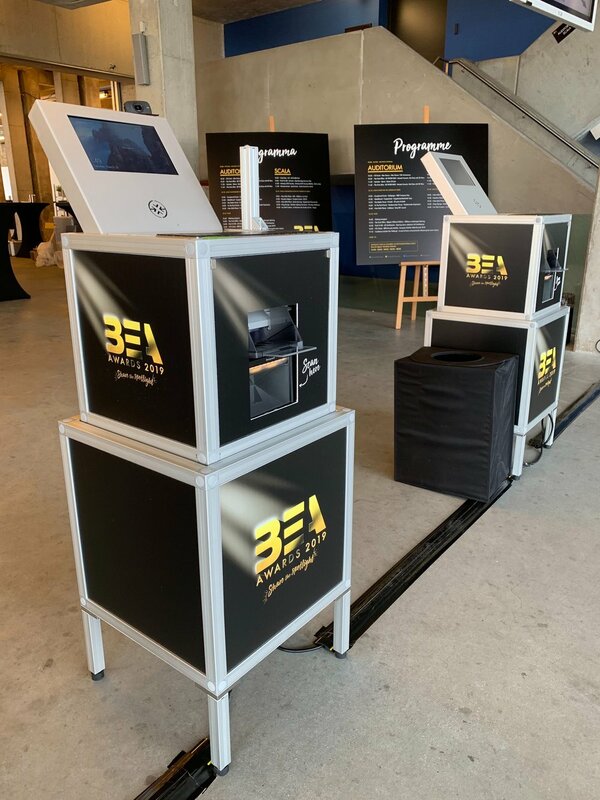 On Wednesday (27/03), fielddrive brought their facial recognition check-in to the 2019 BEA Awards at the Nekkerhal exhibition center in Mechelen, Belgium. The BEA Awards have been running for 21 years and are the most prestigious accolade for companies, suppliers and caterers for the events industry in the Benelux countries. Organized by Event Masters and Experience Magazine, the main theme of this year’s event was ‘Share the Spotlight’, which celebrated not only the companies that won, but also the other finalists and participants, those who were in the room and all those working in our events market to make it the success it is. Self check-in kiosks with facial recognition by fielddrive at BEA Awards. 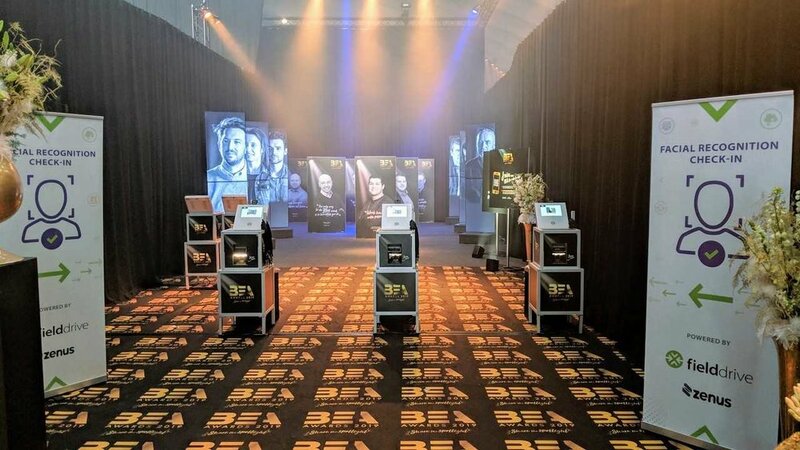 Fielddirve, in partnership with Belgian registration platform Abusol, delivered facial recognition check-in and live badging to more than 400 attendees via 8 fully branded kiosks for day sessions and the evening event. Over half the 800 delegates registered at the event with facial recognition and all were wowed by the speed of check-in and badge printing. 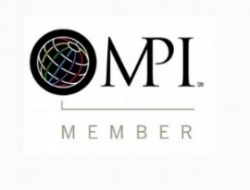 "We are very proud and excited to introduce our technology to the industry’s key players from Belgium, Netherlands and Luxembourg." Read more about BEA Awards here. fielddrive kiosks at day sessions during BEA Awards. ARE YOU EAGER TO USE ONE OF THESE SOLUTIONS AT YOUR NEXT EVENT?